RALEIGH — She may not realize it, but Lois E. Frazier was a feminist before feminism was cool. At age 96, Frazier is the embodiment of a quieter side of the feminist movement. She makes no public fuss, no outward displays of protest against the unequal treatment of women in the workplace. Yet, she simply goes about doing her work in the way she knows how to get the job done. She shows up on time, with energy, and an enduring commitment to support women’s development. Her calendar is filled with luncheons, dinner, award ceremonies, and speaker events. She is a walking reminder that every person can make a difference by taking the time to get involved. In 1919, a year before Frazier was born, the Business and Professional Women (BPW) organization was formed at the national level. The Raleigh-based chapter and the statewide club were organized in the same year as support for women’s rights accelerates when the19th Amendment is signed into law and women gain the federal right to vote. 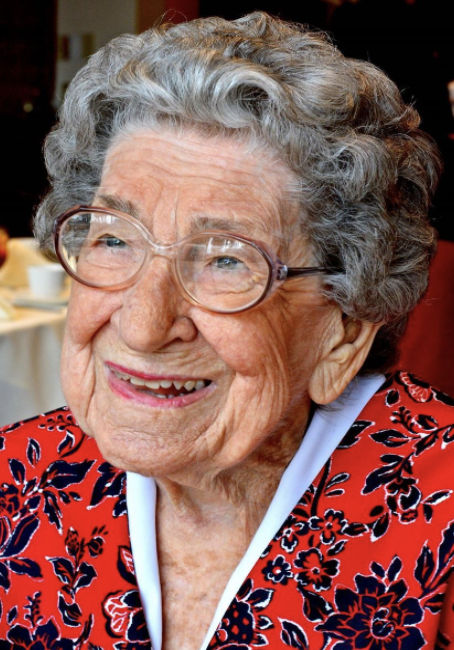 As a teenager, Frazier worked at Fieldcrest Mills in Eden, NC where she spent her summers when she was not attending school at the University of North Carolina at Greensboro during the early years of World War II. By 1945, a 25-year-old Frazier was head of the Department of Business at Brevard College and became a member of BPW. So, nearly 100 years after a group of men and women gathered in Seneca Falls, NY to set the agenda for the women’s rights movement, Frazier was blazing her own trail. Frazier completed her doctorate degree in Education from Indiana University the same year John F. Kennedy created the President's Commission on the Status of Women chaired by Eleanor Roosevelt. As the 60s and 70s raged on with women’s and civil rights, Frazier continued to deepen her commitment to developing women in business by serving in numerous leadership roles with local, state, and national business education associations, the N.C. Council on Economic Education, and professional organizations. By the 80s and 90s, Frazier was the director of the MBA program at Meredith College where she headed the Department of Business and Economics from 1954-1985. This year, Frazier sat front and center in a crowded room as a bright young woman received the Lois Frazier Educational Scholarship to support her early career. The room is filled with BPW members who are the beneficiaries of the generations before us. After 71 years of service for the advancement of women in business and professional work, Frazier continues to show up, with energy and enthusiasm, and does her best to leave a lasting legacy for more generations of bright young professional women. Well done, Dr. Lois E. Frazier, well done.